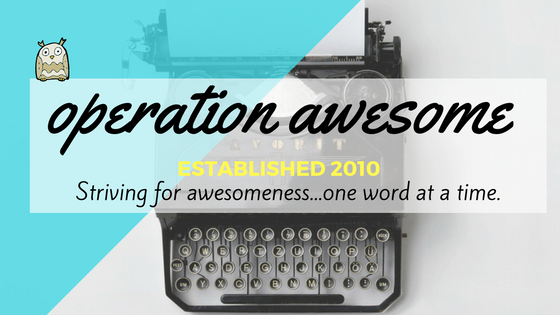 The Operation Awesome group blog began in 2010 and has featured some stellar authors as they navigate the publication process. The blog features writing and pitch contests regularly, so go check them out! The current lineup includes Melinda Friesen, J Lenni Dorner, Jaime Olin, Kara Reynolds, and Leandra Wallace. This item will close on April 28, 2017, at 9:00 PM EST. Any bids placed after that time stamp will not be honored. 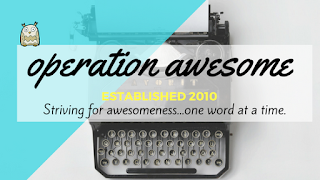 Once the auction closes and payment from the highest bidder is confirmed, instructions on how to send your pages to Operation Awesome will be emailed to the winner. Since the files will be submitted electronically, this item is open internationally.